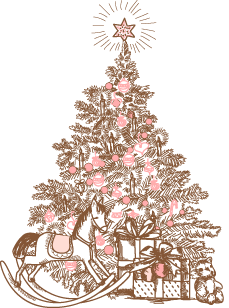 Christmas is almost upon us and we will soon be ushering in 2016. There have been many highlights this year, from the country’s Golden Jubilee celebration to Maybank’s own 55th anniversary celebration. It has been a momentous year for both the country and the bank, as we look back at how we have helped realise the dreams of generations of Singaporeans during the nation-building years. We are proud to have come a long way since, becoming one of the leading financial services provider in the region with 22 branches and 1,800 employees in Singapore. We sincerely thank you for all your support and look forward to serving you with the same dedication in the next 50 years ahead. For the third quarter ended 30 September 2015, Maybank’s profit before tax rose 7.1% to reach RM2.38 billion, raising the Group’s PBT for the nine months of FY2015 to RM6.78 billion or 1.4% higher from a year earlier. In Singapore, our loans grew at a healthy 11.3% annualised with consumer loans maintaining a strong momentum of 25.8% annualised growth. Come January 2016, we will be opening a branch at the brand new Waterway Point in Punggol. Maybank@WaterwayPoint will be our first Sunday Banking branch, giving customers the convenience of banking on Sundays! 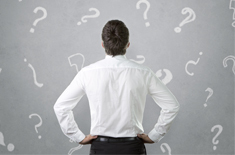 Look out for more details on our website closer to the date. Our offsite 3-in-1 Self-Service Terminals (SST) has a new home at Wisma Atria! With the new location in the heart of Orchard road, it is now more convenient than ever for customers to withdraw and deposit cash, as well as update their passbook. The SST is located at Wisma Atria, B1-K2. We’ve rolled out a series of improvements to our newly refreshed Self-Service Terminals and Auto Teller Machines (ATMs) to provide even more convenience for our customers. Our Cash Deposit+ and ATM+ machines now accept S$1,000 notes so you no longer have to queue at our branches to deposit these notes. Calling all youths! We are embarking on an initiative to empower students from Nanyang Technological University, National University of Singapore and Singapore Management University to be change-makers and drive social innovation to alleviate poverty and grow wealth in ASEAN. 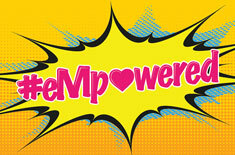 Known as “eMpowering Youths”, the program gives our youths the chance to improve the lives of disadvantaged communities in ASEAN with up to S$30,000 in funding per project from Maybank. To get the students excited about this initiative, we went on surprise visits to the three campuses to spread the message of sharing and giving back to the community. Check out the video below! Christmas comes early for Maybank customers! Who would have expected Christmas cookies almost 3 weeks before Christmas? Certainly not these unsuspecting customers who visited our branches on an ordinary Monday! Pleasantly surprised faces complete with cheery smiles were seen on our customers as our senior management gave out cookies to spread the seasonal cheer and to thank them for their support. 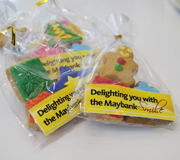 Our happy customers after receiving their Christmas cookies from Maybank Singapore CEO, Datuk Lim. The Christmas cookies that delighted our customers! 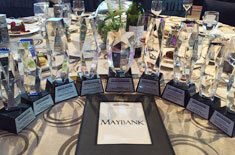 Launched just two years ago, Maybank Private Wealth is already making waves in the industry as they picked up 9 awards at the prestigious award in the Global Private Banking Industry. 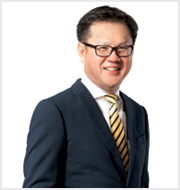 Leading the bank’s haul was Mr Alvin Lee, Head of Regional Private Wealth, who was named as the PBI Asia Rising Star, an accolade given as recognition of an individual’s early contribution in the growth of Asia’s domestic wealth management sector.